At the time it may seem like the best options are to (A) decide to never use that part of the house again, or (B) move. Well, we at Advanced Degree Carpet Cleaning would like to save you all that trouble by showing you how to successfully address these situations. Since emergencies don’t allow the time to shop for specialty products, our solutions focus on simple items typically found in your home. First, a quick primer on the chemistry of cleaning. When dealing with spots we need to dissolve the substance and break its bonds so that it can be lifted out of the carpet. This involves three basic principles. First, water needs to be able to penetrate the soil, so we often need a small amount of surfactant (soap), which lowers water resistance. Second, we want to chemically neutralize the spot, so we've got to think about the pH scale. Most soil is mildly acidic, so to neutralize it, you must clean on the other end of the pH scale (mildly alkaline). Coffee, tea and fresh urine spots are three of the rare exceptions that are alkaline in nature and thus require a mildly acidic solution for cleaning. Finally, some stains (often, those with color) require digestion. For this, we add an oxidizer or enzymatic compound. All of the solutions below are putting these simple principles into play. Note: These instructions are for carpets made of nylon, olefin or polyester. 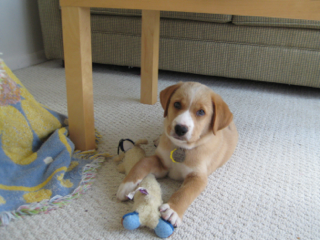 Carpets made of wool or silk often require special care and could be damaged by these methods. For all carpets, test the solution on a hidden area to ensure that it won't cause damage. First, using a clean white towel (or paper towel), gently blot the spill to get as much as you can out. Be sure not to rub with the towel as this will push the substance deeper into the carpet fiber. Pour some cold water over the spot and continue blotting with a clean white towel until you can’t get anymore up. This further dilutes the spot and removes more of the food-product (always sounds appetizing to call something "food product" does it not?). Next, add some baking soda to a solution of warm water and a drop of blue Dawn dishwashing soap. Use the same blot and rinse approach as described above. The baking soda makes the solution slightly alkaline (to neutralize a likely acidic pH), and the single drop of detergent will lower the water resistance of the food product in the carpet. First, using a clean white towel (or paper towel), gently blot the wine to get as much as you can out. Be sure not to rub with the towel as this will push the wine deeper into the carpet fiber and may even upset the natural order of the world. Pour some cold water over the spot and continue blotting with a clean white towel until you can’t get anymore up. This further dilutes the spot and removes more of the wine. Next, add some baking soda to a solution of warm water and a drop of blue Dawn dishwashing soap. Use the same blot and rinse approach as described above. If color is still present, mix a 3:1 solution of hydrogen peroxide (mild oxidizer) and water, and add drop of blue Dawn dishwashing soap. Use a towel to blot the solution onto the spot. It should begin removing the wine from the carpet. Repeat a couple times until the stain is gone, then rinse with cold water and blot until damp. A word of caution, hydrogen peroxide is a bleach so test this solution on a small area first to make sure it won't damage your carpet. If these methods don’t fully remove the stain, or if you aren’t able to get to the stain until after it has dried, call Advanced Degree Carpet Cleaning, and we’ll use our powerful solutions and truck-mounted steam cleaning power to restore your carpet. If it's a recent accident, you're treating it as an acid, and thus will be cleaning with an alkaline solution. First, be sure to blot – don’t rub - the urine stain with a clean towel to absorb as much as possible. Then, pour cold water on the spot and continue blotting until the stain disappears or you cease to get results. For the remaining stain, mix some baking powder into a cup of warm water and add a drop of blue dawn. Use a towel to blot this solution onto the stain and soak it up. Repeat until the stain is gone. If the stain is not completely gone, apply some Nature's Miracle (low grade enzymes available at most pet stores) to digest any remaining product. Apply some cold water and blot until almost dry (to remove the blue Dawn from the carpet). Mix a solution of 1 part DISTILLED white vinegar and 3 parts warm water (be sure to use distilled, otherwise you're making a salad in your carpet - not the best approach) and add a drop of blue Dawn. Use a towel to blot this onto the stain until it disappears. If the stain is not completely gone, apply some Nature's Miracle (low grade enzyme available at most pet stores) to digest any remaining product. Apply some cold water and blot until almost dry (to remove the Dawn and Nature's Miracle from the carpet). “Spilling the beans” can cause serious social problems, but few are as devastating as those created by “spilling the Kool Aid.” When this happens, it’s important to act as quickly as possible before the stain sets into the carpet fibers as (like spilled beans) spilled Kool Aid has tremendous capacity for long term stains. Using a white towel, blot – do not rub – to soak up the excess Kool Aid. Mix solution of 1 part distilled white vinegar and 3 parts warm water with a drop of blue Dawn and use it to wet a white towel. Blot the stain with the wet towel, starting outside the stain and working in to prevent spreading the stain. If the stain is still visible, mix 1 cup of water with 1 tablespoon of ammonia and apply it directly onto the remaining stain. Dry by blotting outside in (Note: Ammonia can lighten carpet slightly, so test it on a small area of carpet before proceeding to the stain). 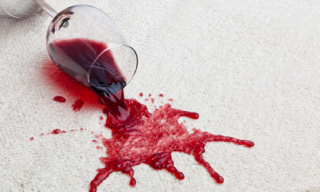 Once the Kool-Aid stain is no longer visible, apply cold water directly to the stain to rinse the carpet, and blot up any remaining moisture. Using a white towel, blot – do not rub – to soak up the excess coffee. Gently pour cold water on the spot to further dilute the coffee, and blot with a clean white towel to soak up the excess. Mix a solution of 1 part white vinegar, 3 parts warm water and a drop of blue Dawn and gently pour it onto the spot. Use a towel to blot the coffee. Repeat until the stain is gone. If your coffee had cream, it may need a second, alkaline treatment to remove that part of the spot. Mix a solution of warm water, blue Dawn and some baking soda and use a towel to blot that onto the spot until removed. Pour cold water on the spot and blot with a clean white towel until almost dry to remove the blue Dawn. Ink is non-water soluble so you'll need a solvent to dissolve it and blot it up. There are several products found around the home that include solvents, such as WD-40 or non-oily hairspray. Before using either of these products, be sure to test them on a small, hidden part of your carpet to make sure they do not cause damage. Spray WD-40 or hairspray into the stain. Allow it to sit for a few minutes to soften up the ink. The solvents may be able to dissolve the ink, allowing you to gently blot up with a towel. Rinse out the solvent with cold water and towel blotting (repeat several times).